Since some of the people that inspired this weekend project can’t read Dutch, I decided to do the follow up of part 1 / deel 1 in English. That first part, posted yesterday evening late showed work in progress. 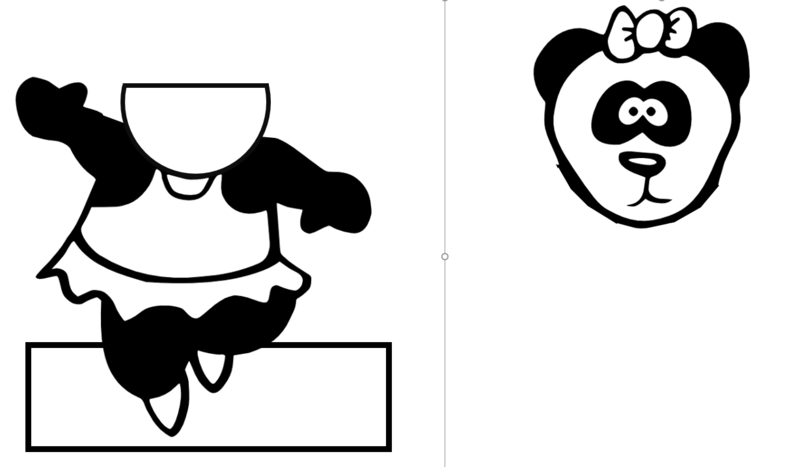 Today, the Panda Ballerina was completed. Before I show you the end result, I wanted to go into the steps involved in a bit more detail. Like I mentioned, the Paper Panda Prototype by Jeannine Huffman was the initial inspiration. That project is already a year old, but I think it was Per-Ivar Kloen that tweeted about it recently. That combined with the tweet by Sarah Magner determined the theme: a Panda Ballerina. 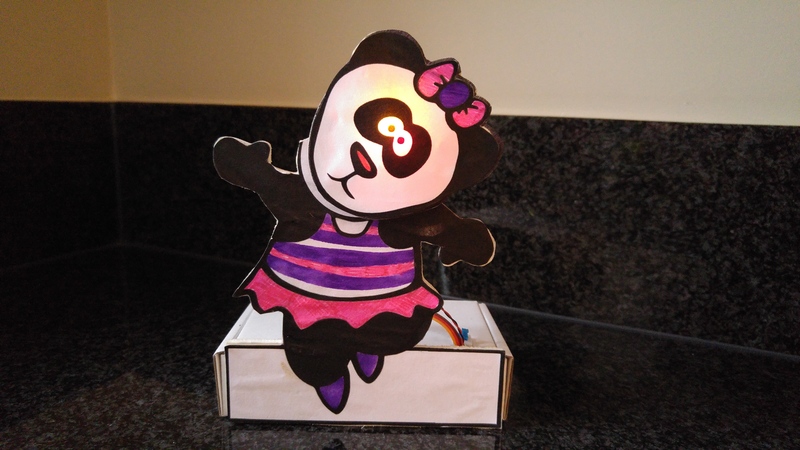 Now both the Paper Panda and the Ballerina use copper tape / paper circuits, my order of tape is still on its way, so that wasn’t possible yet, but I did receive the ATtiny85 chips, although in a different form factor, in my case as a DigiSpark ATtiny85. We had some TowerPro SG90 servos and a couple of LEDs, so the idea was to create one using thin plywood. First step was to come up with a template. Now I have to admit, Googling one is no problem for a private setting, for say classroom use it is best to use one where you are more sure about the rights to re-use and make derivative works then I am for this one: I could not find the original creator. So, draw one yourself if you want to be 100% sure that it is OK. After you draw you figure, you have to separate the two parts. In my case I made a copy and using the lasso tool, I erased the body for one copy and the head for the other copy. Then I added something neutral looking that could act as a nek. For the next version that part is going to be smaller and less visible, but you need something to attach the servo to. Print, transfer to plywood, cut the plywood with a jigsaw, carefully smooth with sandpaper and add color. We glued a second black/white version to the wood because that allowed the drilling of holes for the LEDs in the head without later seeing the actual LEDs.